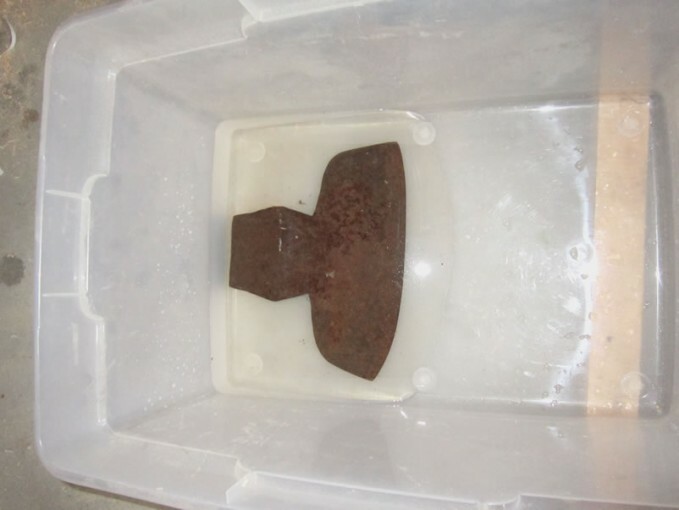 Here is the old hewing axe head that I found, getting a bath in regular vinegar to remove the rust. I was super surprised with the results! After about two days in the vinegar, I was able to take a wire brush to it and, without much effort at all, I took off most of the rust. I’ll post that photo next, you’ll be surprised too. Vinegar! Who knew?